This is what I was looking for! It may hold the answer or could possibly point me in the right direction. In the paper I came across a diagram that peaked my interest. It was a comparison between responders and non-responders. IL-6 controls Th17 immunity by inhibiting the conversion of naive CD4+ T cells into Foxp3+ regulatory T cells. 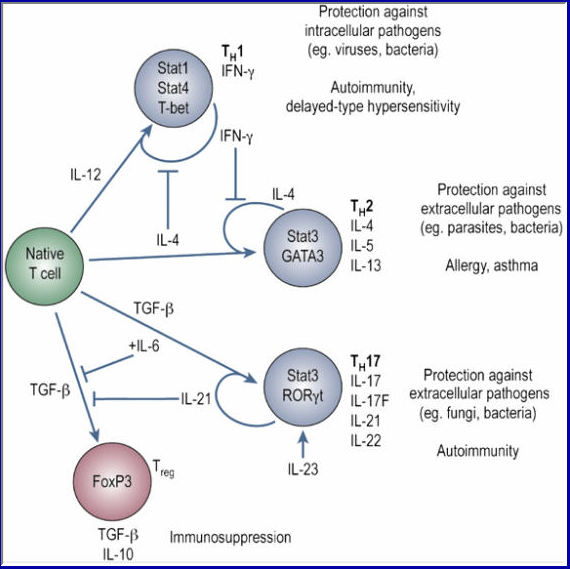 IL-6 protects CD4 T cells from cell death but also inhibits the suppressive effect of T regs. “Three major events must occur to induce CD8+ T cell–mediated, tumor-protective immunity against syngeneic melanoma. First, the T-cell receptor must be triggered by a (or multiple) self antigen–derived peptide MHC class I complex . Therefore, this event depends entirely on appropriate antigen presentation, which is most efficiently provided by mature dendritic cells. 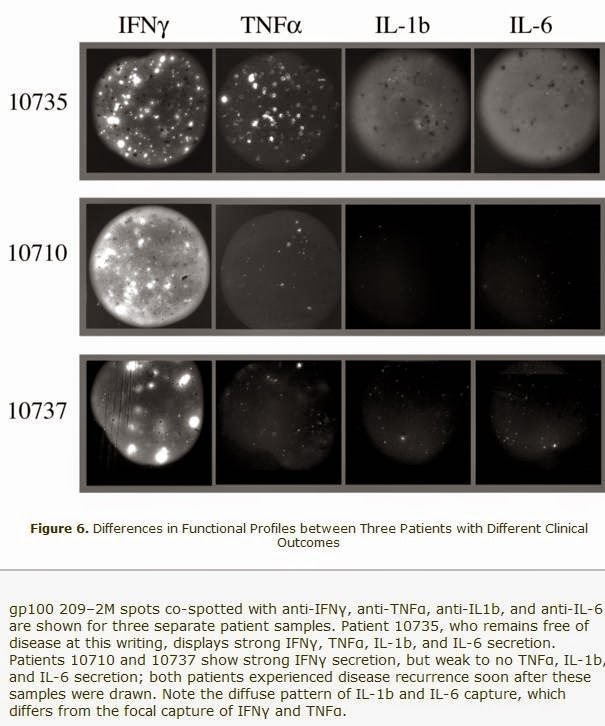 Peripherally tolerant or “ignorant” self-reactive T-cell clones, once properly activated, may serve as tumor-specific effector T cells .Second, simultaneously with T-cell receptor triggering, a distinct second costimulatory signal must be delivered, mediated by IL-2, B7-1, or B7-2, which engage IL-2 receptors and CD28 on the surface of the T cell, respectively. 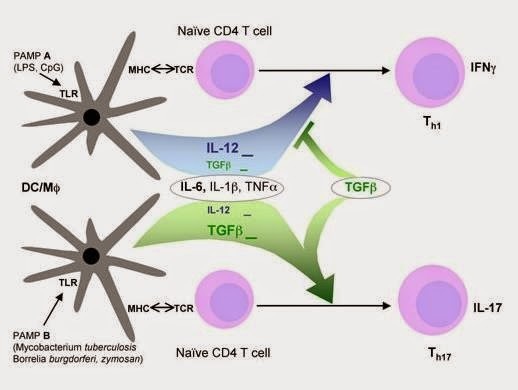 A source of these cofactors for effective CD8+ T-cell stimulation can be provided by CD4+ T cells that release critical amounts of IL-2, or by mature dendritic cells that display an increased level of B7-1/B7-2 costimulatory molecules on their cell surfaces. 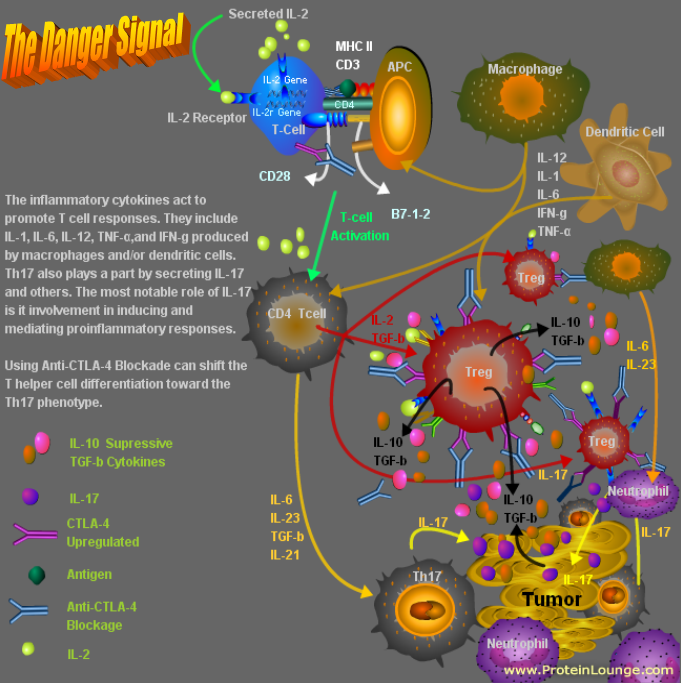 Third, inflammatory cytokines, including IL-1, IL-6, IL-12, IL-17 and IFN-γ provide a third signal that acts directly on T cells, referred to as the “danger signal”. This signal was found to optimally activate TH1 differentiation and lead to clonal expansion of T cells. The responder was able to produce inflammatory cytokines, including IL-1, IL-6, IL-12, IL-17 and IFN-γ provides a third signal that acts directly on T cells, referred to as the “danger signal”. 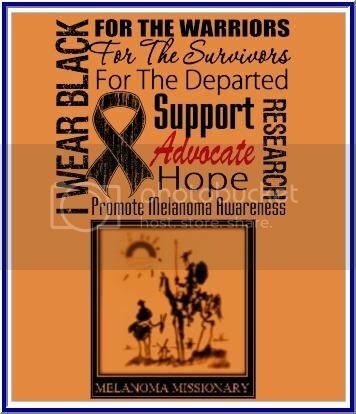 This signal was found to optimally activate TH1 differentiation and lead to clonal expansion of T cells and invoke a robust immune response to the Melanoma Cancer. 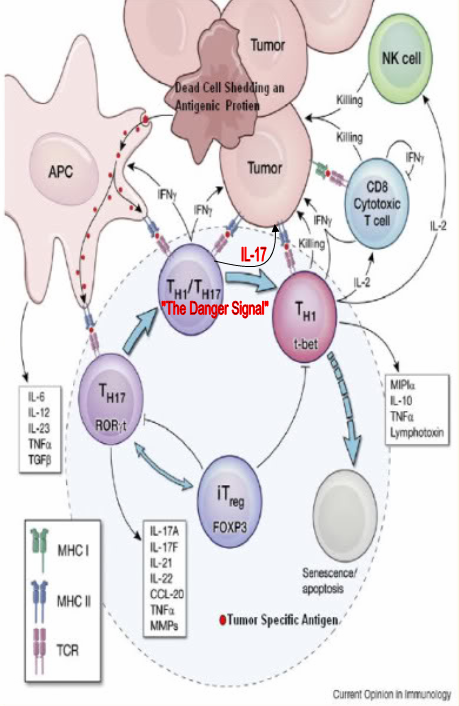 Conclusion: Based on my observation, the cytokine that ties this “Danger Signal” to the immune system is IL-6. IL-6 protects CD4 T cells from cell death but also inhibits the suppressive effect of Tregs. So what is causing the lack of IL-6 in the non-responders? The IDO enzyme. This enzyme catalyzes the degradation of the essential amino acid L-tryptophan to N-formylkynurenine. IDO enzyme degrades tryptophan and through the GCN2 kinase pathway inhibits the transcription of IL-6. 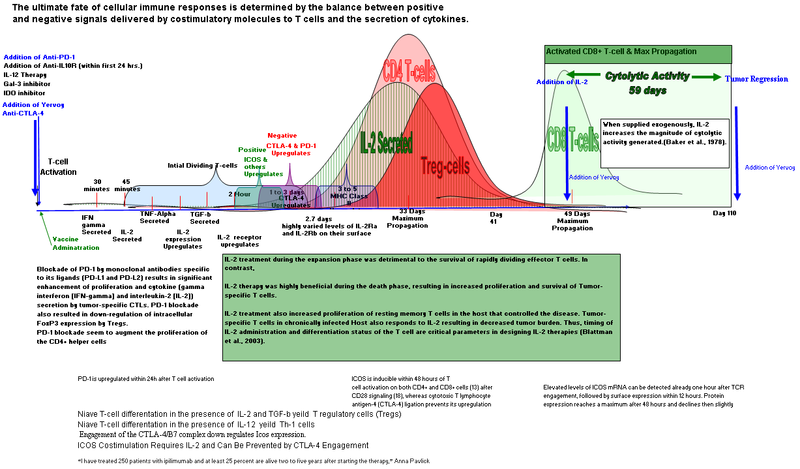 Without the transcription of IL-6, the IL-6 cytokine cannot be produced leading to the T-cell differentialtion toward the T Regulatory cell instead of the TH17 phenotype. 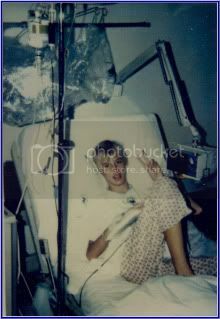 My guess is the tumor induced enzyme called IDO may the Missing Link to intiating an immune response.IDO produced by Tumor cells significantly inhibited interleukin (IL-2) expression and proliferative response in T-cells and increased apoptosis (death) of T-cells. Tryptophan depletion is known to halt cell cycle progression by triggering the antiproliferative GCN2 pathway in lymphocytes. Also, IDO is upregulated in antigen-presenting dendritic cells (DC) by autocrine IFN-γ released as a result of Treg cell–induced CTLA-4/B7-dependent cell-cell signaling. 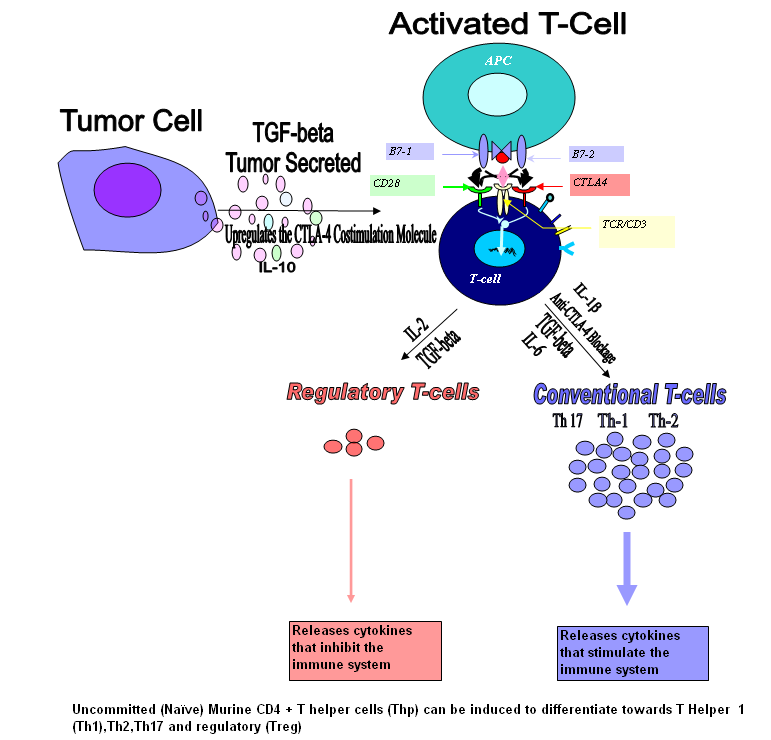 It is well established that IDO expression by APCs or tumors can inhibit immune responses. Tryptophan depletion by IDO-expressing tumors is a common mechanism of immune evasion inducing regulatory T cells and inhibiting effector T cells. So adding IDO inhibitor to a combinatorial therapy like Yervoy for melanoma cancer should see a synergist response.